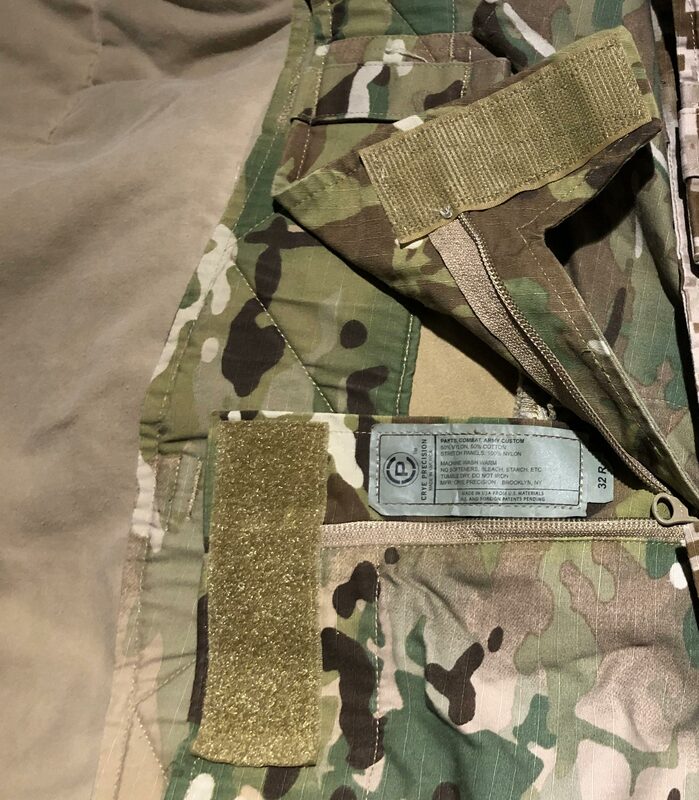 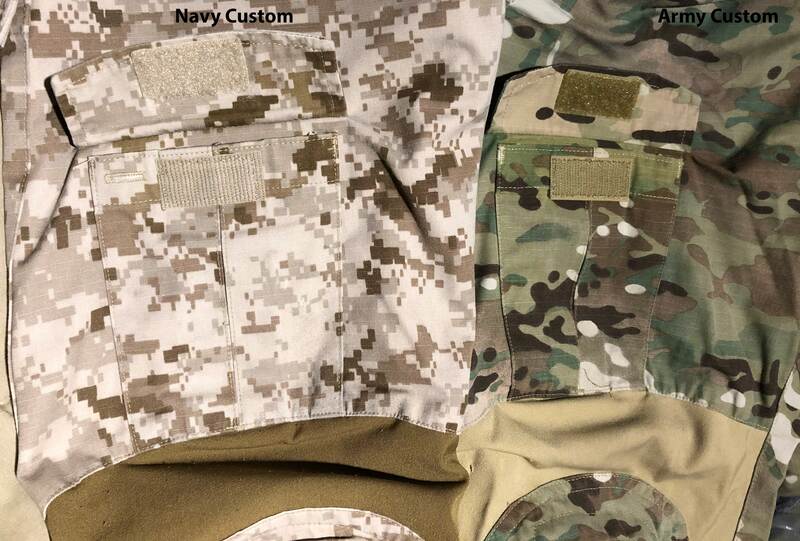 Crye’s combat uniform is perhaps their most famous product. 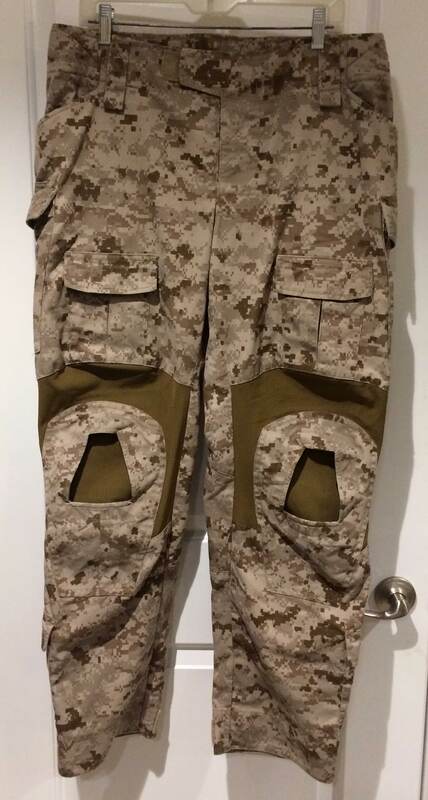 It is meant to be a purely offensive uniform featuring plenty of stretch material, especially around the knees and back for enhanced mobility. 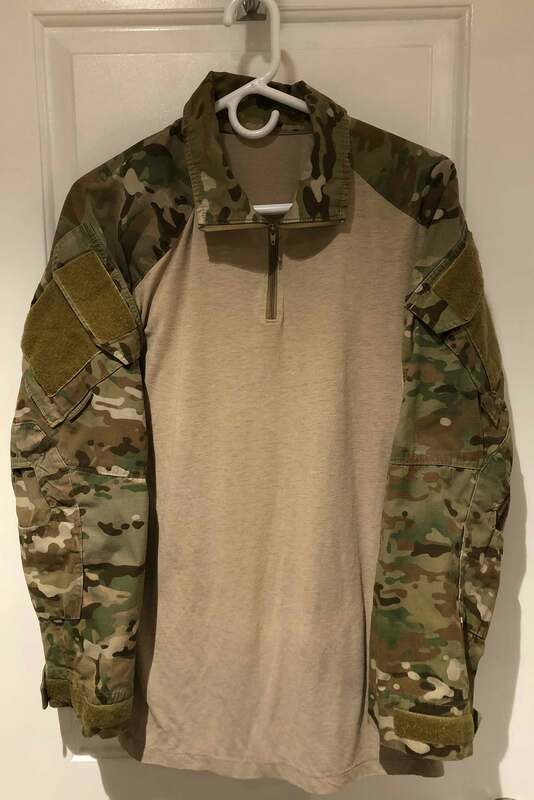 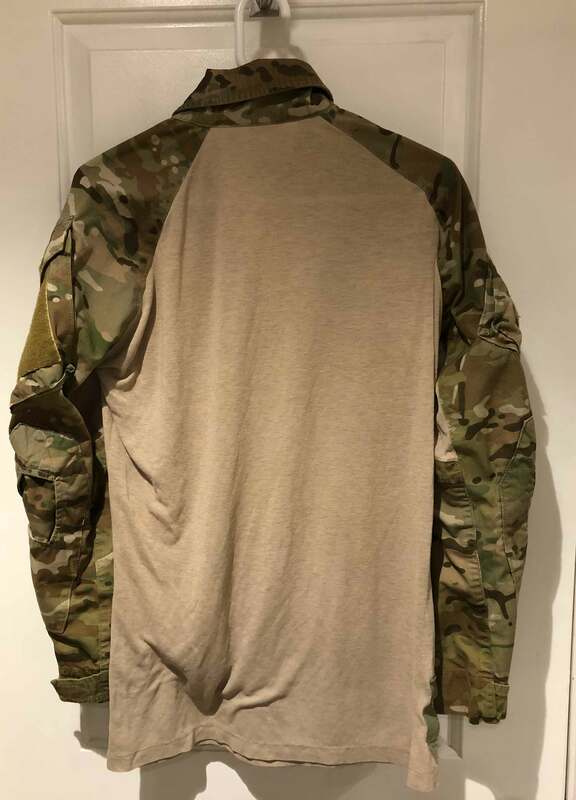 The shirt has a T-shirt material-like torso for operator comfort and to wick away sweat when worn underneath body armor. 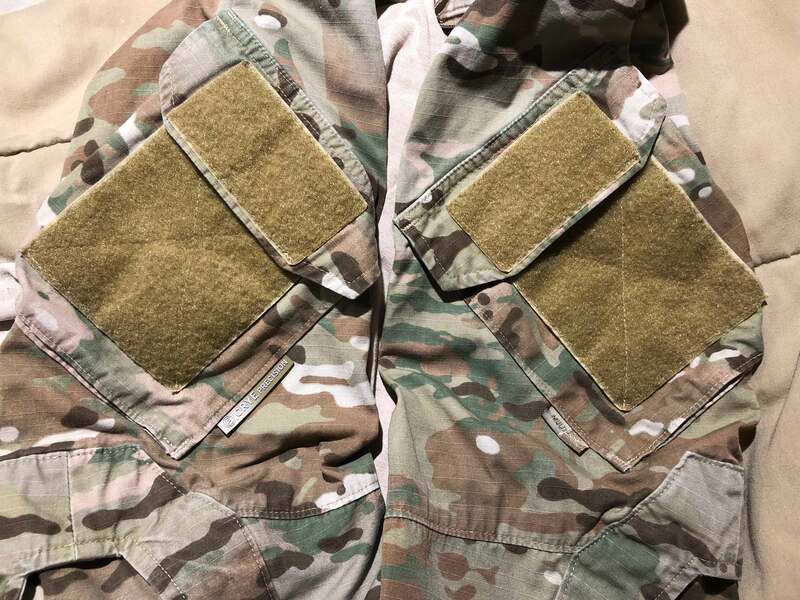 Material is thinner and less “elastic” than thicker material on CAG prototype. 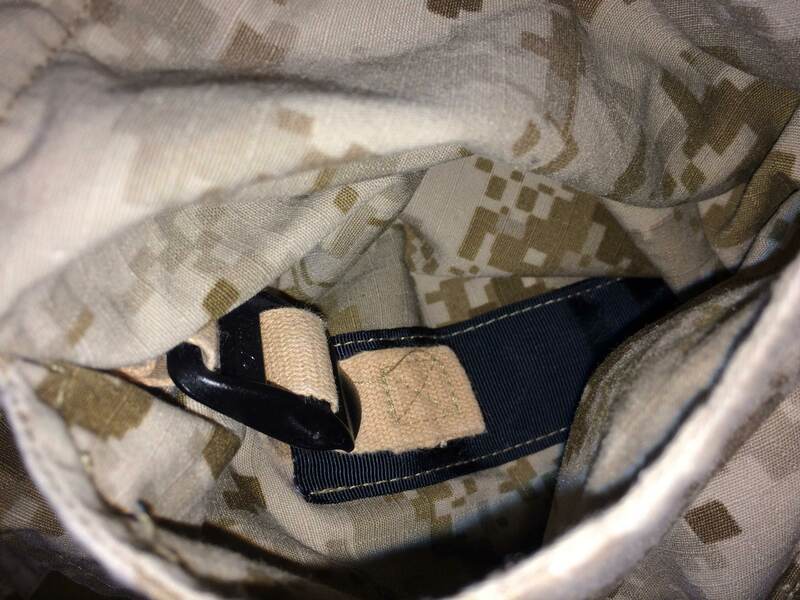 Elbow pad pockets also have black felt material lining (maybe for velcro hook on pads?) 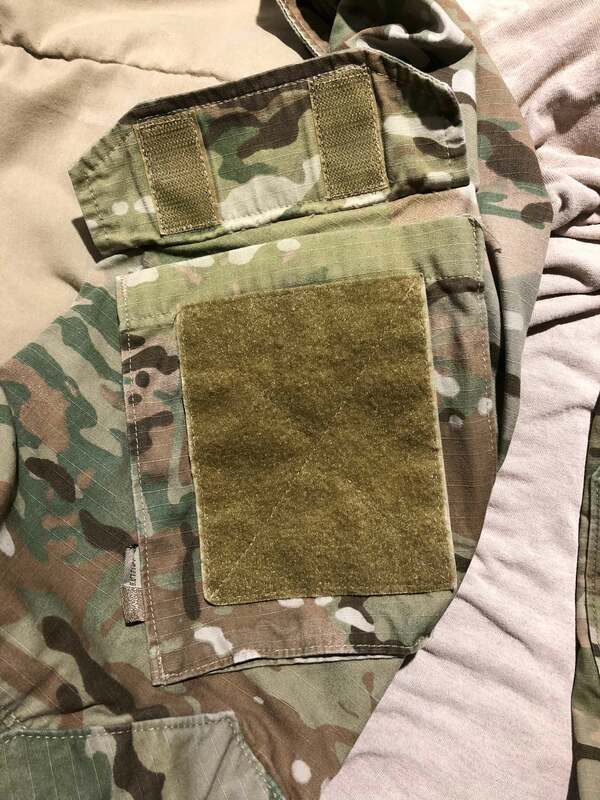 the inside which prototype does not have. 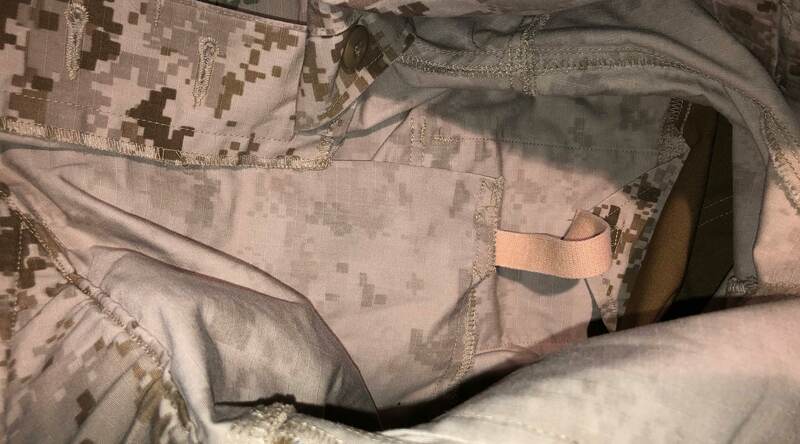 Arm pocket does not have secondary internal pocket that Field Shirt has. 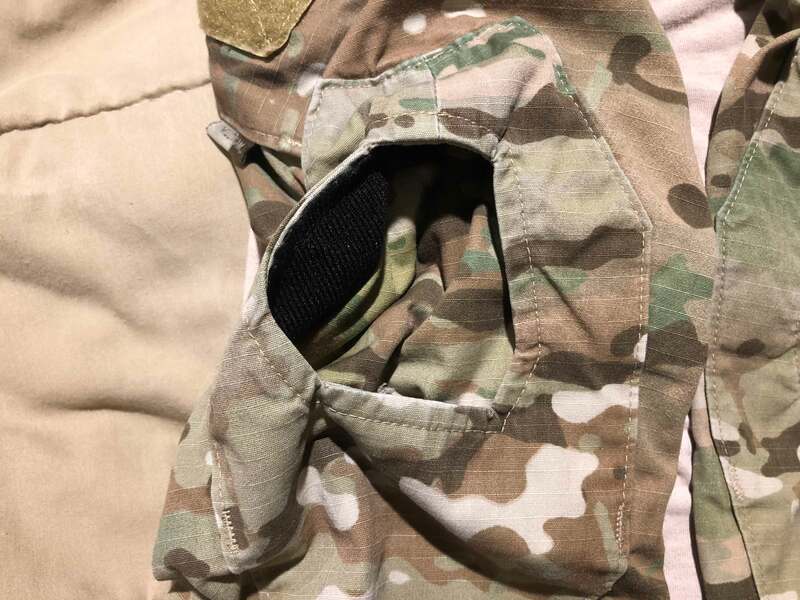 Kneepads are removable and unlike later G3 version there is no covering flap for the kneepad hole. 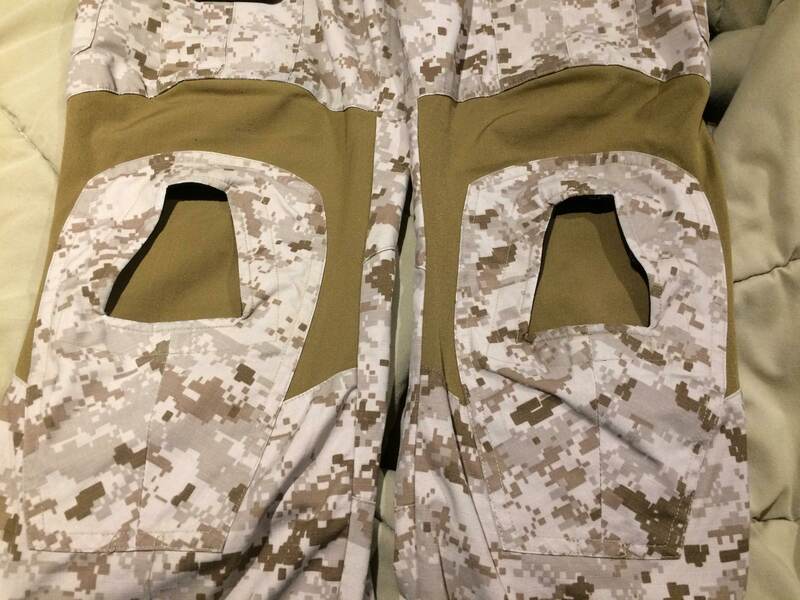 Vertical kneepad location is adjustable using in strap located inside waist pocket. 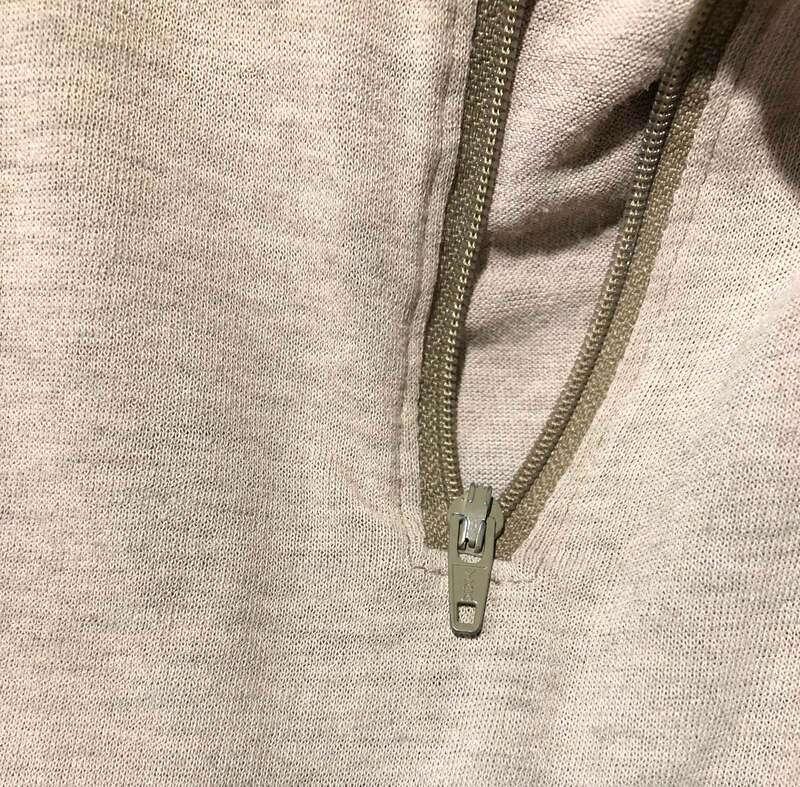 Tag is located under the zipper fly. 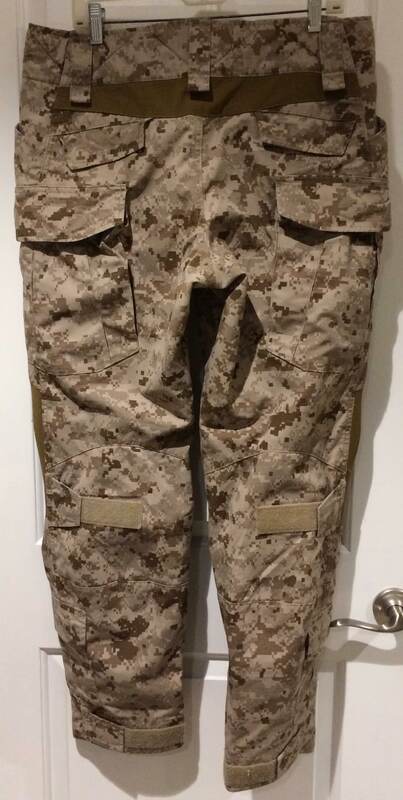 AOR1 Pattern, same as trousers here. 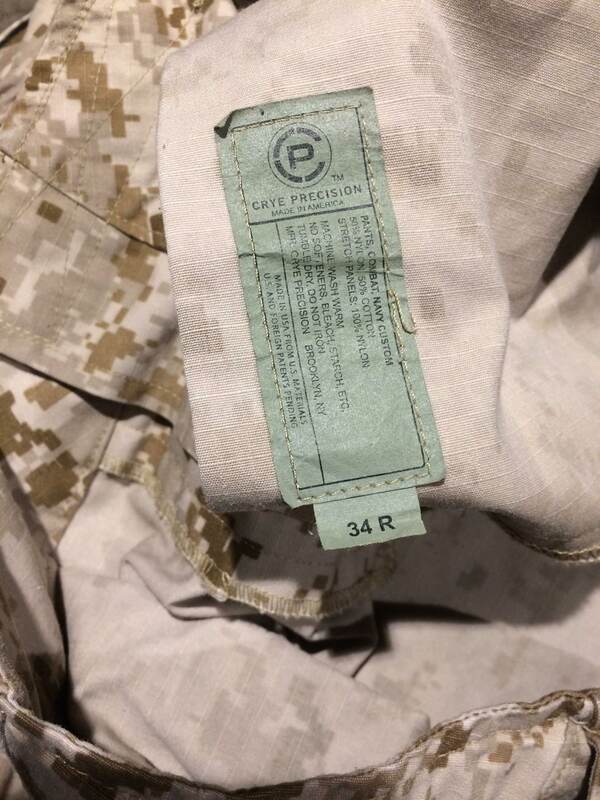 Actual waist size slightly larger than number on tag like commercial vanity sizing. 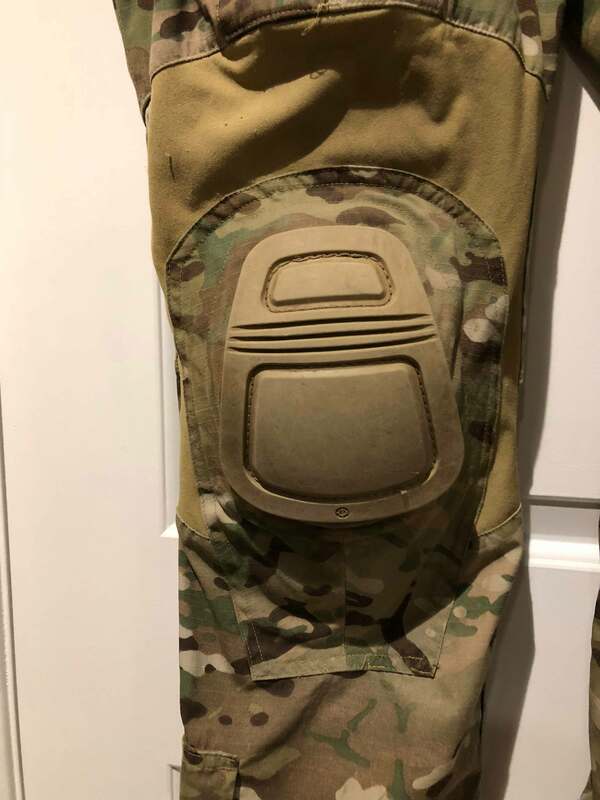 Vertical kneepad location is adjustable using in strap located inside waist pocket. 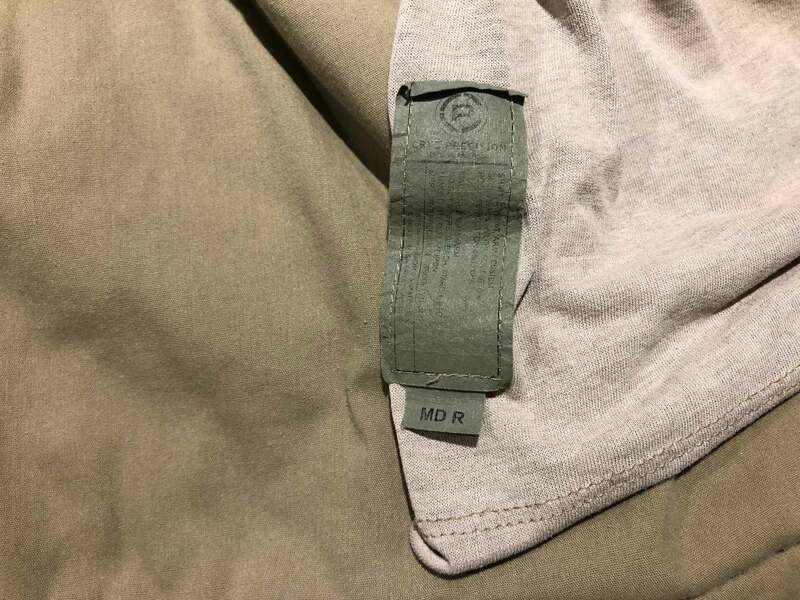 Tag is located on one of the waist pockets on the inside since the fly uses buttons. 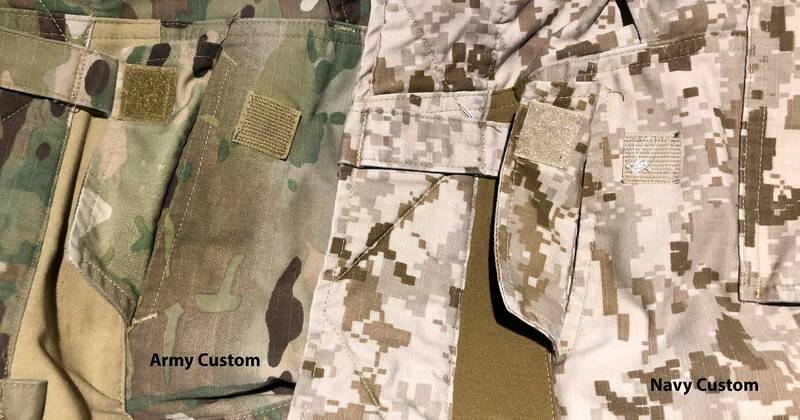 Like the field top, the Army Custom closes with velcro while the Navy Custom has buttons and a BDU-like internal flap. 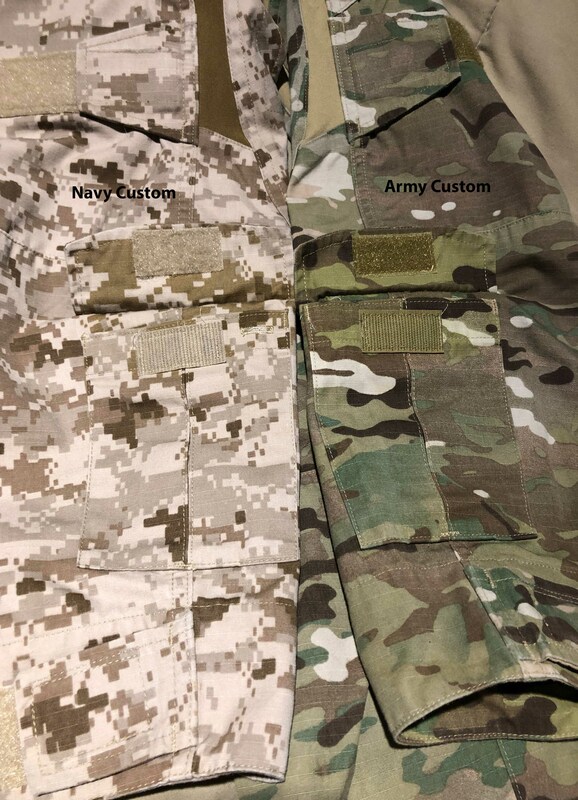 Army Custom closes with a zipper while Navy Custom closes with buttons. 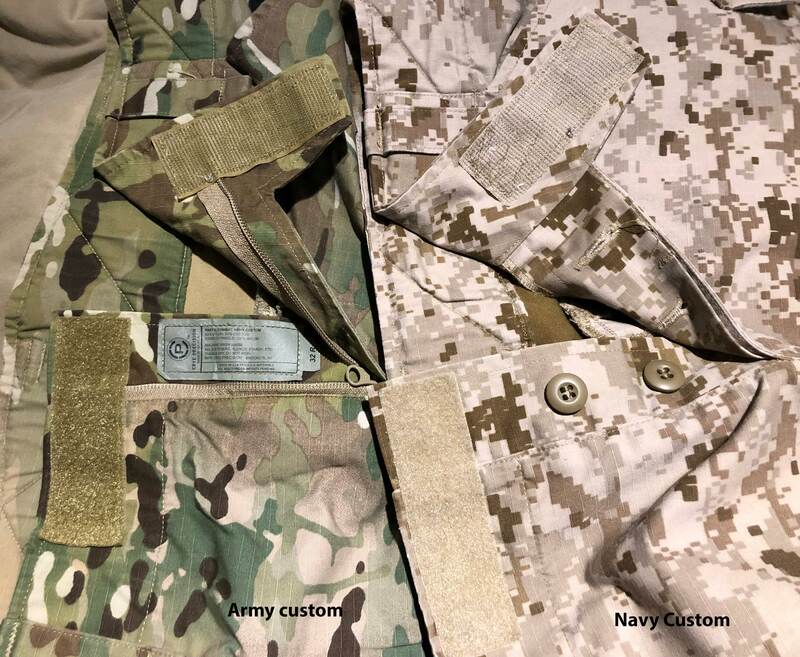 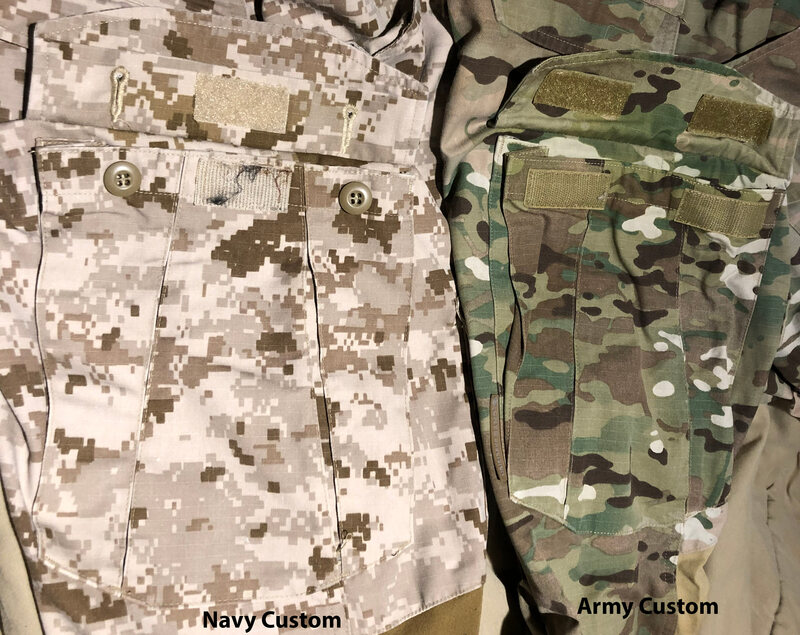 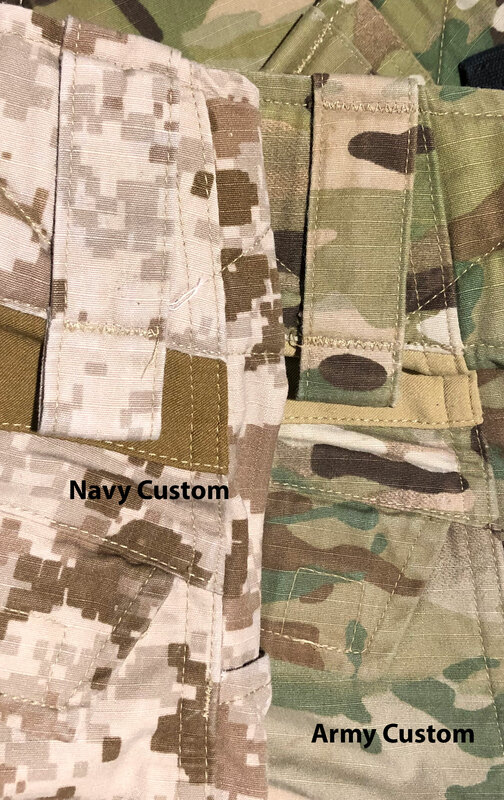 Navy Custom has larger belt loops than Army Custom. 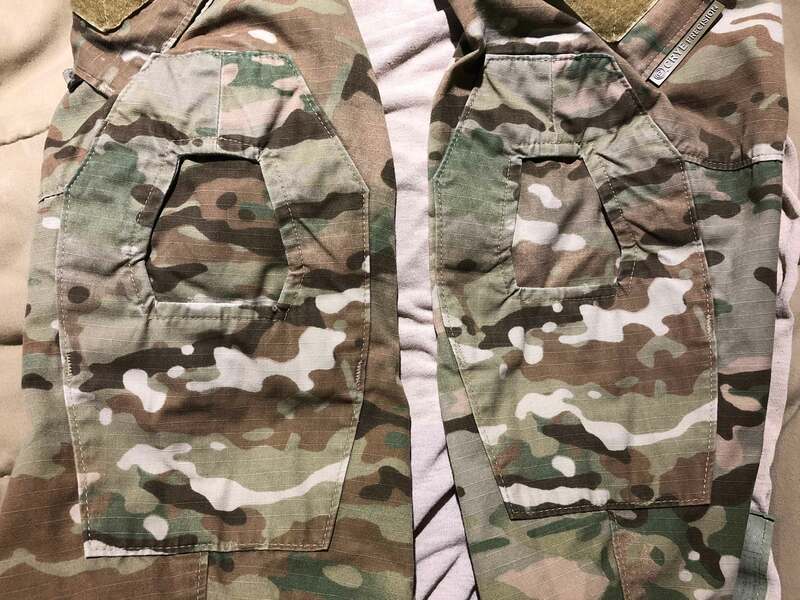 Identical, except for small buttonhole on side of Navy Custom version.